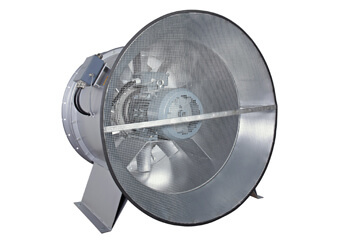 The VAR axial fan, with direct drive and with impeller blades that are adjustable when stationary, is a highly efficient axial fan with optimum aerodynamic characteristics. 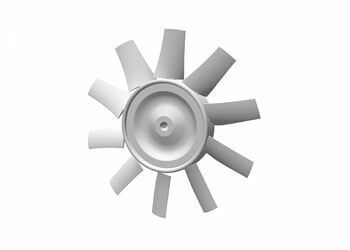 The standard version has 10 shaped and cast impeller blades. 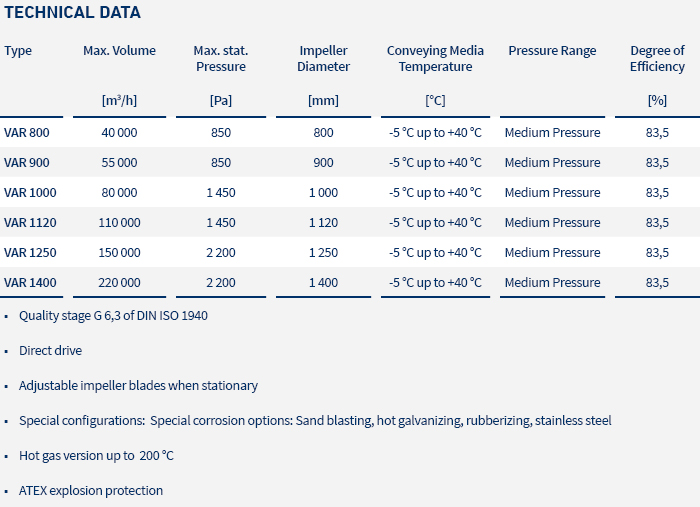 Special versions with fewer blades are available for lower pressures. 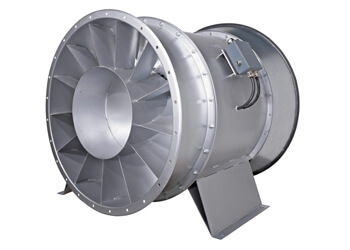 The blades are adjustable, allowing the fan to be set to any desired operating point. This version only comes with a direct drive, with the impeller mounted overhung on the motor shaft, and the motor resting on a bearing pedestal welded to the housing on the intake side. 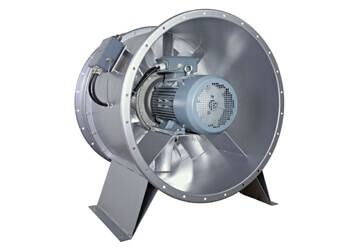 This allows the fan to run at a speed determined by the selection of the standard Motor.